Hey everyone! Today I have a post from a good blog friend of mine. She recently quit her job too! Enjoy! Like Michelle, I have recently gone full-time with my freelance writing career. It’s a scary and exciting transition to say the least. As far as my self-employment income, a good portion is coming from freelance writing. 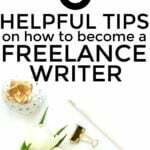 As a newbie who is seeing some serious progress in the area of freelance writing, I can attest to the fact that there are several practical tips you can implement to launch your freelance writing career. It took me awhile to get to where I am at today but there’s no doubt in my mind that if I can do it, you can do it, too. Here are three steps you should take to get started. 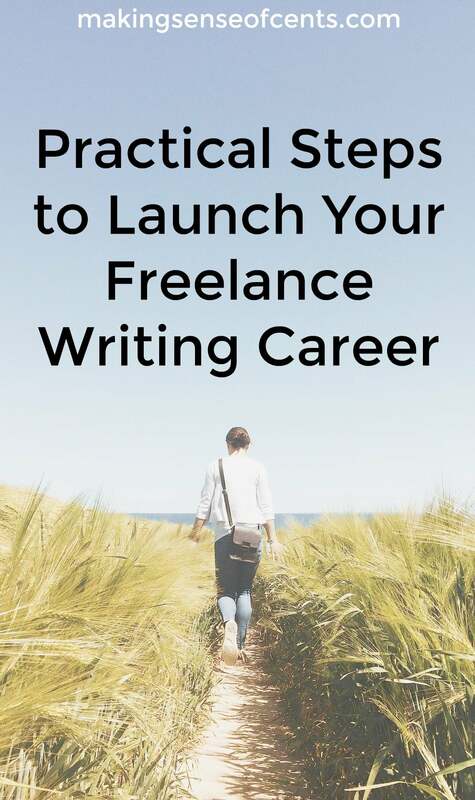 The most important thing you can do to get freelance jobs and to be successful with your freelance writing career is prove that 1) you’re a decent writer (not great, just decent) 2) you can work well with others. The quickest way to prove this is by guest posting. There are a lot of advantages to guest posting if you want to be a freelance writer. By guest posting you get your name out there, establish a reputation for yourself, and prove that you can adapt your writing tone to that of other blogs. You should try to guest post on blogs/websites that are in a similar niche that you want to write for. You can then build an online portfolio (Google it. There are several free writer portfolio websites.) or list your portfolio on your current blog if you have one. Now you’ll have a place to send potential clients. When I first started my freelance writing career I was applying to jobs in just about every niche. If it paid what I wanted, I applied. This was a huge waste of time. 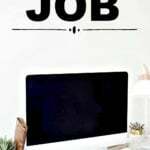 Through my blog I began finding jobs relating to personal finance, which is what I prefer to write about. At this point my clients are about 60 percent personal finance related and 40 percent insurance related. Even if writing what you know isn’t fun it’s the best way for you to find jobs when you’re just getting started. Once you have your portfolio up and running and have decided on your niche, it’s time to start hunting down those jobs. I have found that there are two ways to doing this that bring the best results. The first is emailing blog owners who you want to write for, introducing yourself, and offering your service. The second best method for me has been applying to job boards. I personalize an email template that I have saved for easy access for both of these methods. Neither one of these methods are fool-proof. The reality is you will be told no far more than you will be told yes. That’s okay, though. That’s how this whole freelance writing thing works. 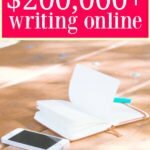 You aren’t going to become an instant freelance writing success overnight. It’s just not going to happen. Even those super successful writers you see all over the internet started from the bottom. It’s going to take you time to build up your client base just like it took them. That’s why freelance writing is the perfect side hustle that you can eventually grow into a full-time job. If you’re ready to launch your freelance writing career there’s no time like today to get started. If you’ve been wanting to get started freelance writing what’s holding you back? Alexa Mason is a blogger, personal finance freelance writer, and wanna be internet entrepreneur. She chronicles her journey as a single mother trying to make it big at Single Moms Income. I started working online last 3 years ago. At first I was so down because I was always rejected and didn’t have a chance to prove myself. And luckily my very first client offered me work and I’m so happy because he taught me tips. It can be really hard to get started but once one person gives you a chance other people start doing the same. It’s nice to have a clients who treat you good and offer you tips. Congrats! Thanks Alexa, and hope your freelance writing continues to grow. I’ve been reading a little of your blog lately and have enjoyed your stuff, keep it up! This are all great tips Alexa! I think my wife used all of these when she started freelancing about four years ago and I’ve learned from her wisdom currently. I think #1 & #2 are huge – you need to be able to show that you have a background/experience in what you’re wanting to write on, otherwise it’ll likely take you longer to see success. Absolutely! If you start by writing what you’re experienced on you can move on to other subjects later. It’s easiest to start with what you know. Great post, Alexa! I always need reminders that getting started with freelancing full time won’t happen overnight. I’m impatient! I agree that trying to be a generalist is a waste of time and effort. You’re better served creating a niche for yourself and selling to clients within that niche. Great advice! It definitely takes some time to get started. But the more you market yourself and go after it the faster you’ll be able to make it a full time job. 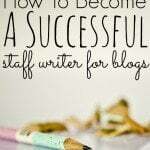 Great tips on how to begin freelance writing, I enjoyed it. I think setting up the standard email that asks for writing jobs is essential to help any novice possibly become a freelancer. I agree. If you have an email you can tweak it makes applying to jobs faster and easier. Thanks for the tips! Becoming a freelance writer has definitely been on my mind but I’m just so scared about the instability. I’m hoping to secure enough clients and save up enough of an emergency fund that it’ll feel a little less scary! I think you do get a sense of stability when you can secure several recurring jobs from several different clients. Right now I do several weekly blog posts for others so even if I lost one client it wouldn’t hurt me. You just have to diversify your client base and then you’ll feel more stable. I think this is pretty good advice no matter what type of freelance work you do (writing, graphic design, videography, etc). Thanks for the article! Hey Alexa, great post! I think the most important part is the stick to it part. It takes a bit of effort in the beginning to get things rolling and money may not be what you thought it was in that time. But if you stick with it, you’re sure to win over time. Thanks for the great read! I completely agree. It’s hard at first but if you stick with it long enough you’ll have people coming to you instead of you trying to find them. Great post. I think writing what you know about is key. It really doesn’t take long for a reader to see that a person is confident about their subject matter and become turned off by it. If the writer doesn’t fully believe what they are writing about, how can they expect a reader to. For sure!! And to add to it if you don’t know what you’re writing about it it will take sooo much to longer to write. If takes you a long time to write a blog post/article then you probably won’t make too much money. Alexa, I am so excited to see a post on this site by you. I love reading your blog. The beauty of starting your own blog is that it acts as a portfolio. I’ve found clients that just came to my site and were interested in seeing if I wanted to write for them. I can’t agree more in regards to sticking with it. I’ve seen so many good freelancers come and go within a short period of time because they aren’t willing to play the marathon game. Its a shame, as many could have been very successful if they gave it a bit more time. Thanks for the tips. I did some freelance writing last year as part of my “side income,” but I know I could do more and make more in this area! Alexa, you always have such great information!! You are also a “Post Whisperer” you always manage to write stuff right when I need it! Keep the great information coming.